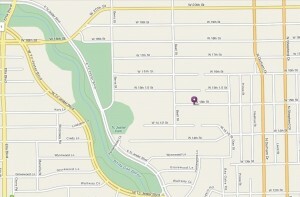 See my page on Shady Acres for map, type of houses being built, etc. Mid 2014 Update: Way back in 2011 I struggled to sell this property. Since that time land prices have doubled. The market in Shady Acres has exploded. For the most part, all you find for sale in Shady Acres are new homes and land with tear-downs. There are a few homes that could be remodeled, but for the most part, the biggest value is in the land. Big lots (~9000 SF+) and relatively inexpensive pricing make it ideal for new construction. If you are a builder who is timid about the Heights and the land prices there, Shady Acres is a good alternative. Shady Acres land is generally in the low $20’s/SF compared to ~$30-$40/SF in the Heights proper. You need to understand the Heights and want the Heights buyer wants before you venture there. Shady Acres is more forgiving. Not only is land cheaper, the large lots lend themselves to re-platting into smaller parcels. Also, a wide variety of home styles are accepted/desired by buyers. You don’t have to build a traditional style house. So…it is a much more forgiving market. 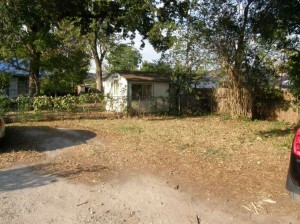 If you are an individual wanting a big yard, this might be the place to look also. The only Shady Acres land I have for sale currently is this one lot: 1921 W15th St.
1921 W 15th St is a 1/4 acre building site in priced at $229,900. Build a big single family home here, or more-likely, subdivide and put in patio homes or townhomes. 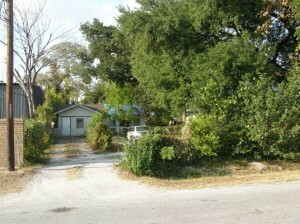 Here is the MLS link for this Shady Acres Land For Sale. Land prices are flat in the area now, so the time may be right to build. Note: there are more lots than this for sale, however when realtors list their lots as being in “Heights, Greater Heights, or Heights Area” (fudging the location a little bit), they don’t show up in this search. So, email me if you want a complete list of available Shady Acres land sent to you. If you are currently looking at Heights or Shady Acres land or if you just would like more information regarding the area, give me a call 713 868-9008. The neighborhood of Cottage Grove has similarities to its neighbor to the north, Shady Acres. Both are now mainly new construction. The little surviving homes are not being remodeled, their value lies in the land so they are disappearing and being replaced by groups of new homes.